A COMPANY by the name of Prime Property Consortium LLC, which claims to be listed on the Emirates Stock exchange, has contacted a number of people selling their property in Cyprus in efforts to obtain their bank details. If you receive emails from this company, I suggest you report the issue to the company advertising your property and also the police. Meanwhile i’ve went to download all the pictures and details about your property , but i need to let you know that i’m purchasing this property for a client who really needed it, we got his friend one property in Monaco ,France last April 2014 ,so the friend introduced him to us ,i’ve sent him all the pictures and the information of the property. Meanwhile can you please tell me the best price and every other fee attached to the property so that i can explain everything to the buyer. A Private notary will contact you about the property later. But most importantly what’s the best price of the Property ? Thanks for the understanding and looking forwards to hearing from you soon. If you reply to this email you will receive a second email making an offer for the property saying that the company will pay 10 per cent of the price offered into your bank account if you have a contract of sale drawn up. Eventually, after negotiating the price by email, you will receive an offer for the full asking price and you will receive the name and address of the alleged purchaser. The email will ask you for the full names and address to send the deposit check or the bank name, bank address, account name, account no. IBAN NO. for transfer of the deposit. Before doing business with any company or replying to unsolicited emails, ensure you do the necessary due diligence before engaging with the company. LOL I cannot stop great comment, they are all fraudsters especially the government, solicitors and builders?. Should we be grateful then, to those developers who have withheld Title Deeds: thus protecting ‘buyers’ from even less scrupulous fraudsters than those developers are, themselves? @Rosemarie on 2015/07/07 at 2:14 pm – I agree, but some people are so desperate to sell and move on they want to believe it’s a genuine offer. It’s similar situation to those who were told could double their money in a few short months by buying and flipping a property in Cyprus. They wanted to believe it so much they convinced themselves it was true. The grammar and style of communication would make me smell a rat immediately! it reminds me of scams coming out of Nigeria. It’s got to start alarm bells ringing when somebody tells you that they have a buyer for your property. 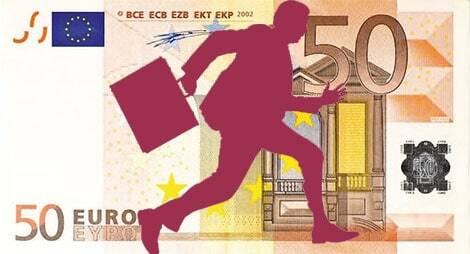 Fraudsters in Cyprus?? I can’t believe it! Looks like another group of Cowboys trying to make a fast buck.